We eat them, we smell them, and we sit under them. Sometimes we even investigate them to discover their hidden significance in the Holy Scriptures. 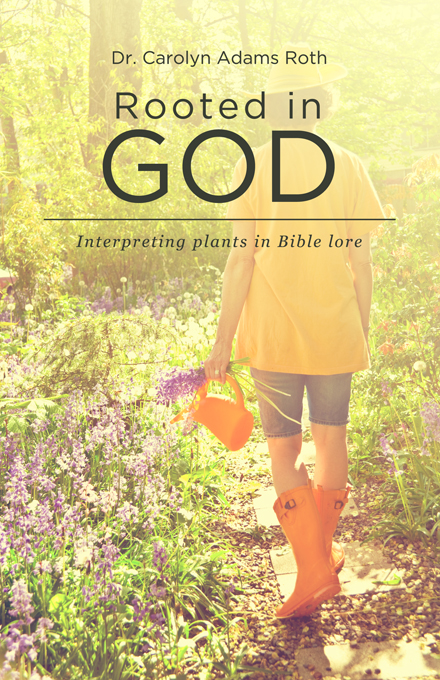 Did you kn ow that the Bible identifies over 125 different plants? Each had a special meaning—superstition, compassion, drunkenness, beauty—to early man. Your copy is signed and includes a dedication if you want one. This entry was posted in Uncategorized and tagged book for sale, God as a Gardener, Rooted in God. Bookmark the permalink. I am very interested in this subject. I have just retrained from textile design to floristry.I have design wedding flowers for friends for a while.However, now my youngest child is in full time school,I am ready to take it further. Being a christian the biblical plants are fascinating, along with their meaning. Which book would you recommend that would help with my research and give my work more depth. Juliet, my recommendation is Rooted in God 2. Best wishes with you future plans.